Hey Friends! It's Rachel, A Tall Drink of Water here. Teaching history has to be one of my favorite things to teach especially American History! The part about teaching history in 3rd grade is that it's usually the first time they've studied it in school (at least here in South Carolina) and they are always so eager to learn more! I usually teach about the Constitution and our Government right after we finish our unit on the American Revolutionary War. 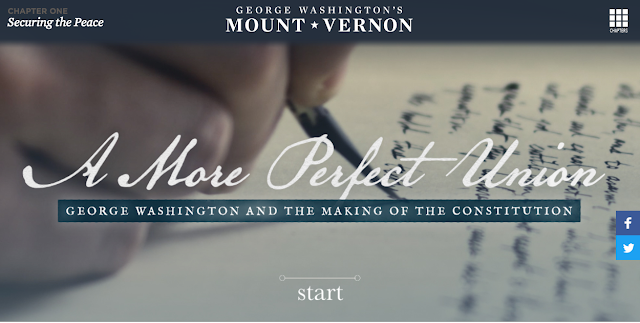 So when I talk about why the Founding Fathers decided to create the Constitution, I like to show them this 3 part video series from www.mountvernon.org Each video is about 6 minutes long. It's nice that it's in 3 parts in case you need to split it to different days. 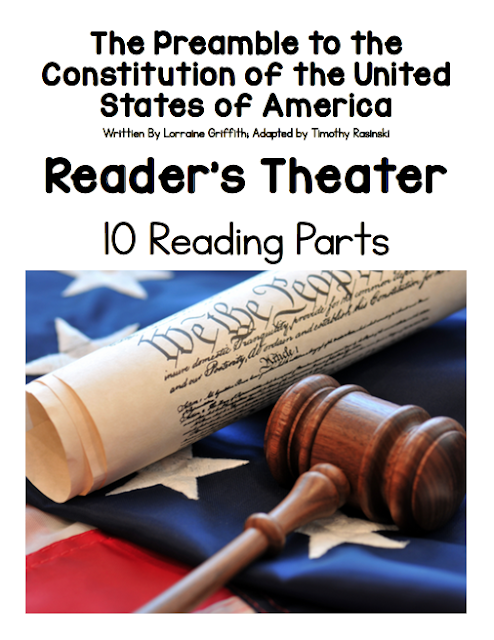 Another thing I love to do during our unit is this FREE Reader's Theater! It's great because it not only helps your students learn the Preamble, but it explains the meaning! Always a win-win! I usually like to have my students "perform" it for another class to give them a purpose for reading. 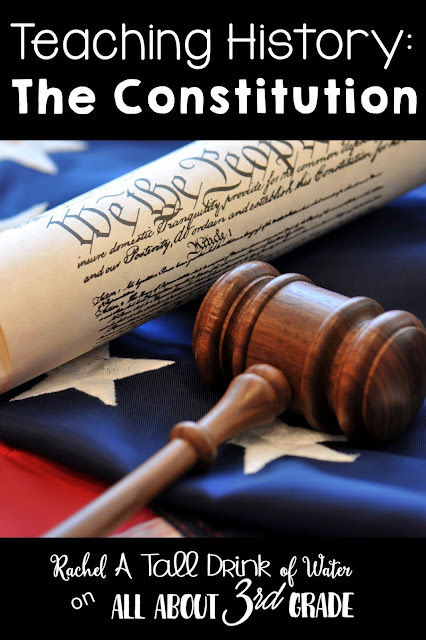 I also show this Liberty Kids video about the Constitution Convention. We watch quite a few of these episodes during our American Revolution unit and students love them! This usually leads us right into our discussion on the branches and levels of government! Do you have any great resources for teaching about the Constitution?